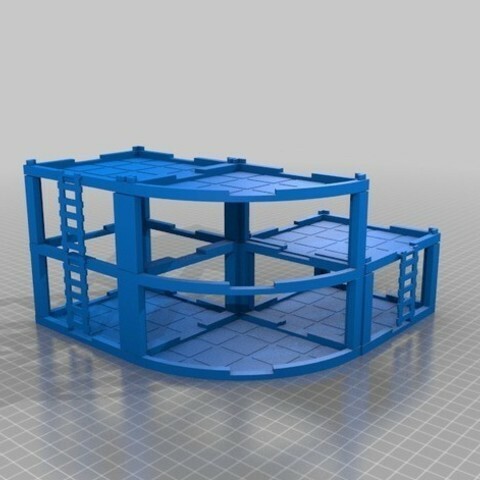 I know there are 5 bajillion different modular buildings already out there but I needed a quick and easy set to print for my DnD mech campaign. I don't care about texture and insane detail, I just want buildings I can throw together (and knock down if I have to) without worrying about matching up the same type of walls or hassling with connectors. 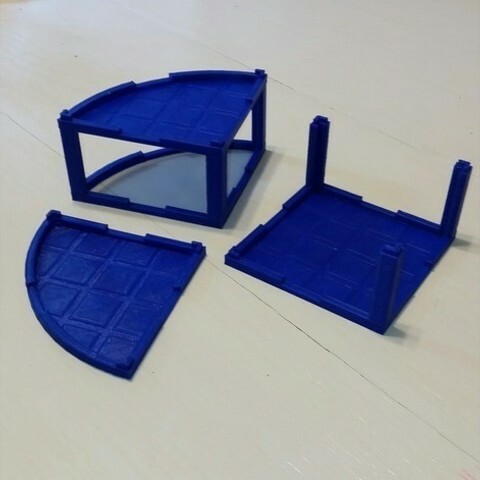 These print with the least amount of plastic possible, with no supports and pop together easily to make whatever setup you need on the fly! 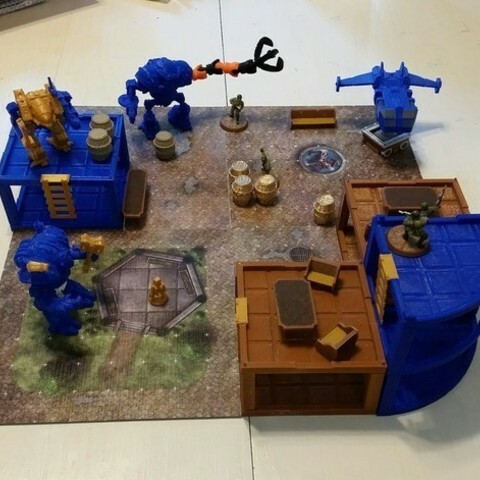 They are scaled to print at 1 inch squares and match up perfectly the Dungeons and Dragons Essentials cardboard terrain tiles (as seen in the pictures).